OK....first off - NOBODY on this thread calls the man police! Got that! If they found out I was even near - Bed, Bath, and Beyond without a female in tow, my man-badge would be confiscated immediately. Even if you go there with a woman - you are only allowed 20 minutes in that store. The manual says that when she hits the linen section, you must go to the coffee makers. 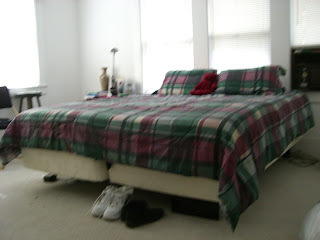 Here is what drove me there - an old tartan comforter and, worst of all, no bed skirt. The bed skirt has been an issue forever. 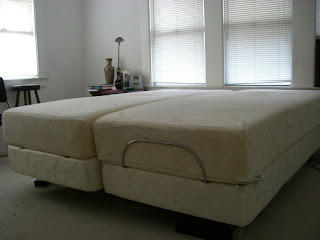 It's the King Size Temperpedic Adjustable bed - now, when I bought this piece of slumber heaven, I didn't realize that what I was really buying was two big twins. They operate independently of one another - you can prop yourself up to read...your partner can lay flat or raise his/her knees (good for the health, I am told). How the heck - do you work a bed skirt around this little mess? It's impossible - we are talking about getting some special seamstress to come over. I called the Temperpedic factory - I checked the website. NO HELP! 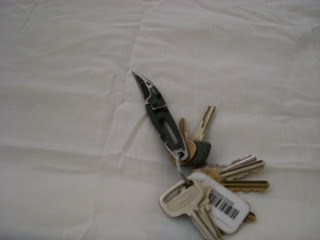 McGyver enters the picture - some laugh when I show them my trusty pocket knife that I carry at all times. It's not just for slashing the throat - of an aggressive mouse that I may encounter. In this case - you will see it come in handy soon. Here is an actual - photo of McGyver in action. 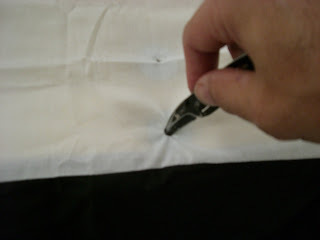 Look at how - his beautiful hands skillfully cut through the top of the bed skirt liner. Is there any question - about how much man this man is? I didn't think so. 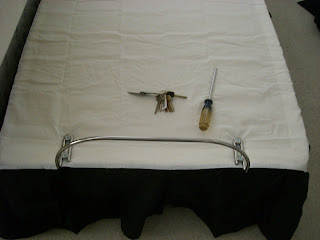 After deftly using - another, more conventional manly tool....the screwdriver...the hardware is reinstalled over the top of the bedskirt. 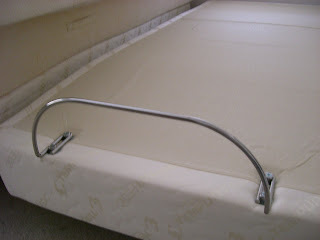 And, the finished product - a fully bed skirted temperpedic king size adjustable bed. If you have one of these - here is your set up. Shams and pillows to taste. Simon - the lucky bear, is optional. Some of you are saying - "Nutster, you started with tartan. You still have it." Acutally, this is blacks and greys. I don't know if I will stick with it. I was just heck bent on making something happen. Total time of conversion - including trip, selection, return, hardware change, and ready to sleep....two hours. Sweet dreams! - or whatever else that happens in that bed...like READING! (Get your dirty minds out of that gutter). ...you mean OnlY reading happens there? Amazing!! A HUGE in a WORLD of it's OWN HappyUP!!! Julie Andrews turns 69...a HappyUP!!! What's Cookin in the Nutster Kitchen? Bonus HappyUP!!! 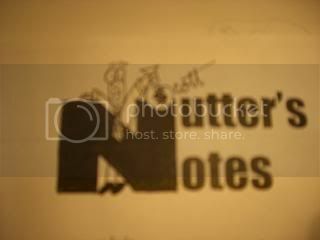 - Ten Bucks for the Nutster! When "This" starts to become "That"